Welcome to another installment of Wow Us Wednesdays. Lots of fabulous inspiration last week. I never expect anything less. Here are a few links that stood out. Did y'all see this cart made from pallet boards and old rusty wheels? I love the way Serendipity Refined came up with a plan for this, executed it and filled it with a luscious bounty. 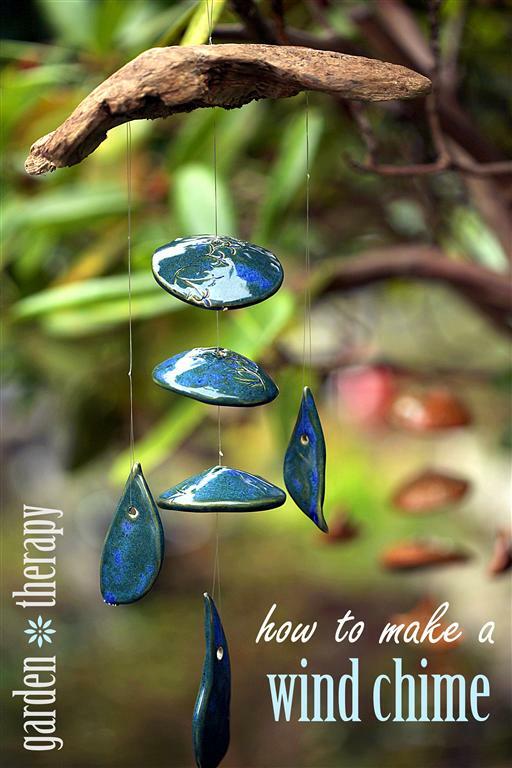 I love to hear a wind chime singing in the breeze. Check out how this one was made by Garden Therapy. Lots of pumpkin ideas are being shared. Here is a cute one made from felt shared by Clean and Scentsible. This is such a unique idea for a pumpkin. Kristin calls it a junkin punkin. Check it out at Simply Klassic Home. Beautiful kitchen makeover using these wonderful wood counters shared by Life on Mars. This fabulous fall wreath made from coffee filters was shared by Recaptured Charm. I really wish I had the ingredients to make these right now. 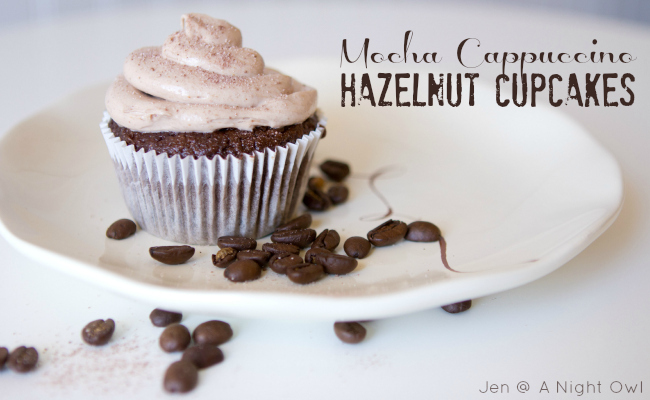 Check out these yummy cupcakes by A Night Owl. Thanks to everyone who joined last week and linked back. Those of you featured can grab a "featured" button from my sidebar. Now let's get on with the party and see how you will wow us this week. 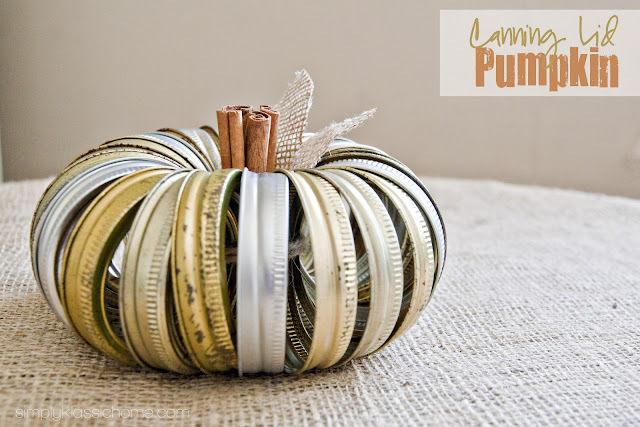 Love the jar lid pumpkin and the coffee filter wreath! Fantastic!! Hi Kim, Lots of great fall inspiration in your features this week! Thanks for hosting!!! I am enjoying all of the fall party posts! Such great ideas. Lots of WOW worthy inspiration Kim. Wonderful features! Great features Kim, they're all beautiful but I covet that wagon! I would love it in my front yard. Thanks for hosting. We have high winds right now and pouring rain, that equals a power outage. I hope I can visit a few links before we lose power! These are great features, Kim! Thanks so much for hosting! Kim - I love that canning lid pumpkin!! Beautiful features Kim, thanks for hosting! Fun features, Kim! That wood counter top is really a Wow! Thanks for hosting! Thanks for hosting, Kim! Wow! Gorgeous features. I especially loved the coffee filter wreath. Have a wonderful week! Now you just KNOW that I want one of those darling carts in front of my house! Thanks for hosting! Thank you for hosting a fantastic party Kim! Thanks for hosting Kim! Great features and inspiration as always. That wreath is to die for! Love the cart made out of pallet boards, how ingenious! Thanks for hosting Kim! Great features Kim. That coffee filter wreath is amazing. Thanks for hosting. Awesome features Kim! I'm so thrilled to be joining in the party this week and sharing my Butler's Pantry. Thanks for hosting us! I must have missed the party last time because I don't remember seeing that cart. I think I need to start partying with you! Wow, is right! Such great ideas. Thanks for bringing everyone together! Thanks for hosting, Kim. Love that cart! Thanks for hosting Kim! It's almost Fall around here! Thank you Kim! Love that junkin punkin! Hope you're having a great week! oh gosh, that cart is just amazing!! just linked up, thanks so much for hosting, Kim! Hello Kim: Thank you so much for hosting the party today--it's so much fun to see everyone's fall finery coming out! I loved the features you selected this week as well. Have a wonderful rest of your week! Beautiful features ( as always ) would love to have that cart! Thanks for hosting, Kim! So many nice posts today... and beautiful features! Hi, Kim. So glad to be joining you this week! Thank you! Kim, Thank you. So many great features. Thank you once again for hosting, I would love those cupcakes! Wow, I love that pallet cart! Thanks for yet another great party. I linked up my slipcovers. Hello Kim! Great features and so many wonderful ideas! Only one problem for me: I can't stop visiting them and it's 12:00 pm here and I have to go to work tomorrow early in the morning...can't stop! 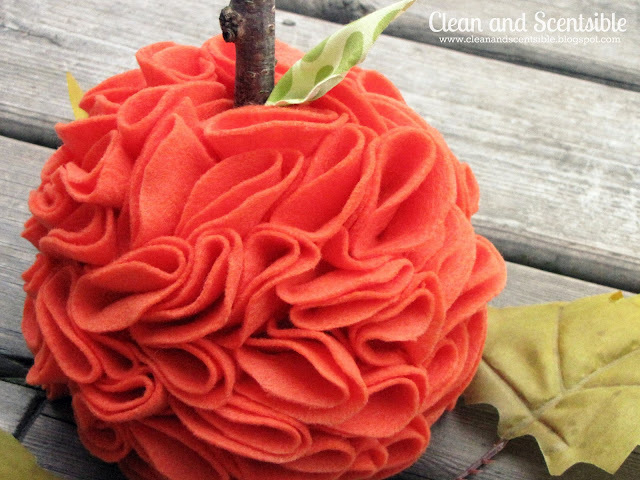 Thanks so much for hosting and featuring my ruffled pumpkin! I must say i just LOVE that cart too! Hope you are having a great week! Thanks for the party Kim! Love that canning jar lid pumpkin - so creative and cute! 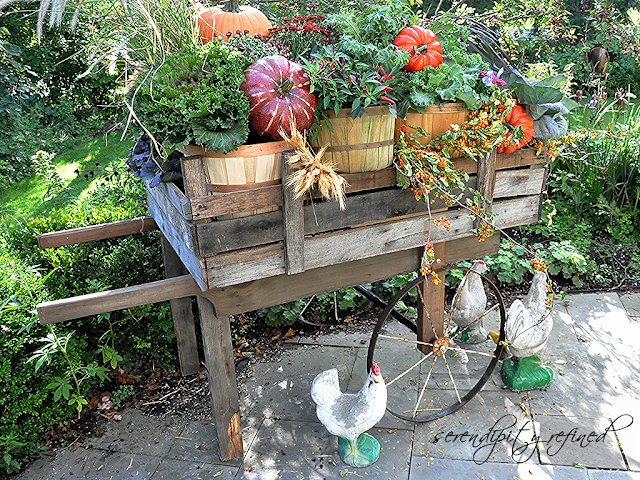 Luv that junkin pumpkin and the fabulous pallet board cart. Thank you sooooo much for hosting! Thanks for the feature, Kim!! So many beautiful projects linked up! Thank you for hosting Kim! Great features! I can't wait until I get back into a home again, so I have something other than my food to feature...lots of inspiration here. I submitted my Grilled Cheese and Beef Shirt Rib sandwiches with Caramelized Onions from my Harvest To Table blog. Those cupcakes look delicious! I could go for one now LOL!Thank you for hosting! What a fun collection of posting friends you have! Everything you can think of is here. - Thanks! Serendipity's cart -awesome! Had that pinned already, so going over to pin myself some more Fall inspiration from the other features. What a great feautures, and what a spectacular party! Thank you for hosting! Thanks for sharing your features! LOVE the Fall wheelbarrow and the canning ring pumpkin!! Your blog is amazing! So many wonderful ideas! Have a great day!!! Thanks for ostessing. I really like all your features this week. The fall pallate container is lovely and the cupcakes look positively yummy. I like the can top pumpkin and can see myself spray painting those black or wiping some off for a grunge look. Hope you are having a great week. Thanks for hosting Kim, just joined in! There is so much amazing fall goodness here. Thank you for hosting Kim! I am sliding in at the last minute. :D Thanks for hosting!! I joined into the party.....way way down at the bottom....but I am here! Thanks so much for featuring my kitchen makeover!!! That's so awesome! Have a great day! Thanks for such an awesome party Kim! What a great place to find inspiration! Thanks for hosting! This is the first time I have had a post to link up. I follow you through Bloglovin', and I really enjoy reading your posts.